Sometimes you might need to uninstall the KeepVid programs. For example, it's recommended to uninstall a program before updating it to prevent a possible version conflict. 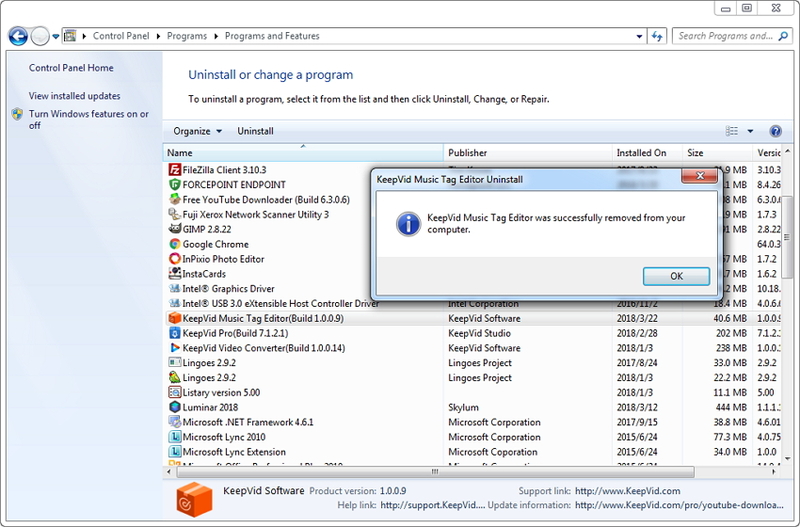 Here we make an example of uninstalling KeepVid Music Tag Editor as below. Open the Start menu in the lower left corner of your Desktop. 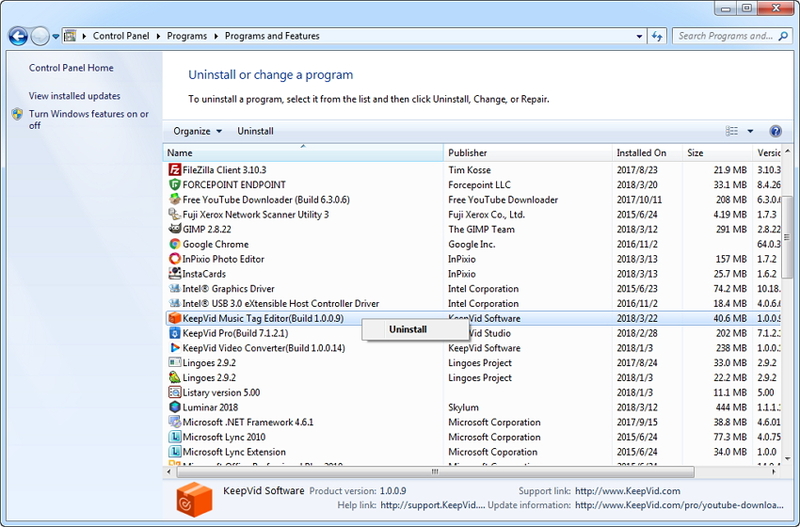 Select the Control Panel menu item, then select Uninstall a progarm under the Programs section. Note: After upgrading to Windows 8, the Uninstall tile may not be represented on the new Start screen. To access it, please right-click on any blank area of the screen, then click the All apps button in the lower right-hand corner of the screen. 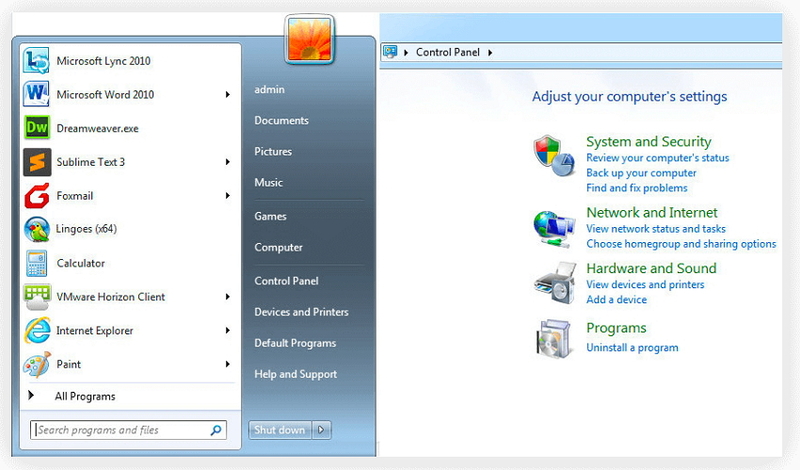 All the programs installed on your PC will be displayed on the Apps screen. The Uninstall item can be found in the KeepVid section. Just navigate to KeepVid Music Tag Editor you have installed, double-click it, and confirm Yes from the pop-up windows to start uninstalling process. After a while, you'll get a pop-up reminder which means the product has already removed from your computer. Attention please: Before you uninstall, you need to exit this software firstly.